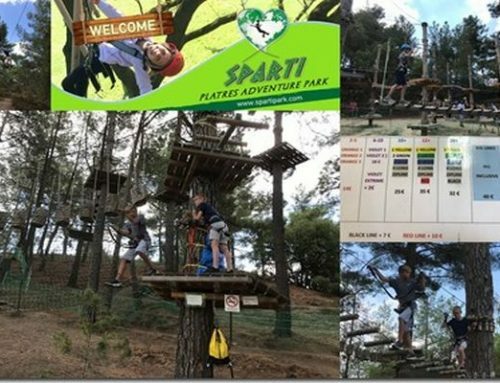 The Sparti Rope Park in Troodos Mountains – a new recommendation for our active families! One ticket buys 3 hours of climbing. There are a cafeteria and toilets at the park. Prices are here. 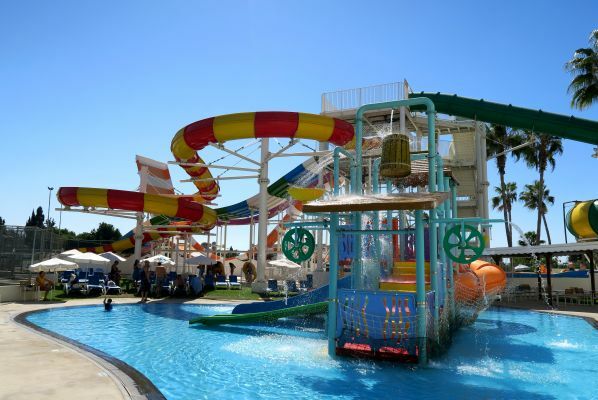 I visited the Park in August, not only to escape the summer heat as it is situated in the Troodos mountains but also to entertain the children in our family. 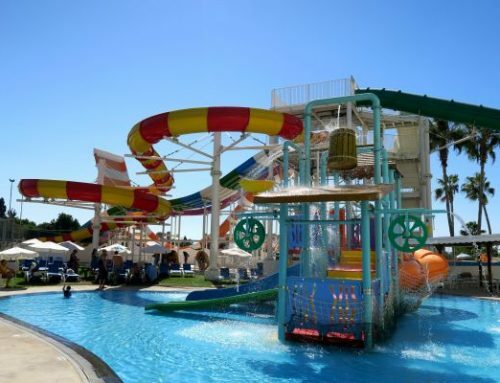 The Park is near the Platres (you can see the Platres “golf ball” on top of the mountain from afar), about a 1.5-hour drive from Paphos. When we arrived, the children were fitted with a climbing harness and a helmet, they then had an introductory lesson. 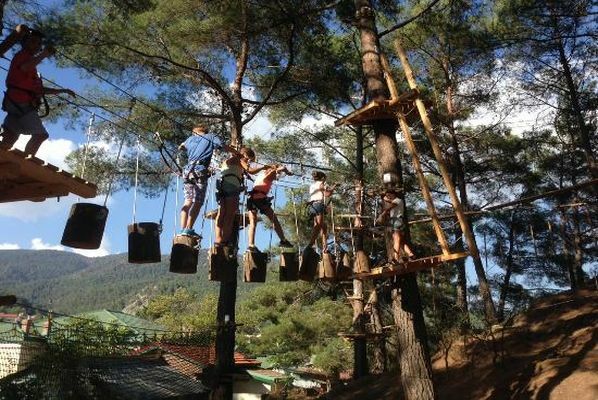 On the obstacle course, they are connected to a “click-it” system which makes it impossible to disconnect from the safety cable completely. A special cable connection joins all games and courses. It gave me a good piece of mind knowing that they were safe. Due to the mixed ages of our children and to keep them all happy and challenged, we chose the second package for 6-10 years and the third one from 10 years and up. The various lines start from “easy” to get a feel for climbing, then get progressively more “difficult” while moving up higher in the trees. Members of staff are nearby to assist, and I was reassured to notice they were regularly checking that the participants are correctly connected and clicked on. I liked the possibility for the parents to be able to walk next to and interact with the children, take photos or videos, and generally keep an eye on what they are doing, if they do not want to join in. We had a great time in the park, and the children enjoyed fantastic physical activity and at the same time getting used to coping with altitude. It was fun, tiring and confidence building! All three children agreed that it was well worth the money and the 3 hours was long enough to try out all the lines, and we had a little time left over to do some favourite tracks for a second time!